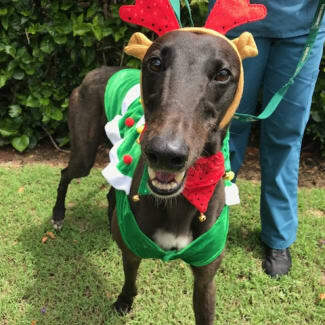 Friends of the Hound Inc. is a not-for-profit, volunteer organisation dedicated to rescuing and rehoming Greyhounds throughout NSW & SE QLD. 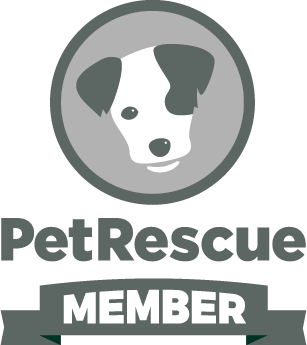 Our mission is to create public awareness of the Greyhound as a gentle, affectionate dog and excellent family pet and we advocate ADOPTION NOT DESTRUCTION. 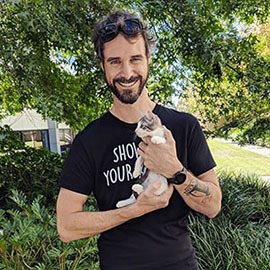 20,000 Greyhounds are bred for racing each year in Australia and there are thousands upon thousands destroyed every year as a negative consequence of this industry. \ For Greyhounds - it is the QUICK, OR THE DEAD. Save a life - adopt a greyhound. Everybody wins. 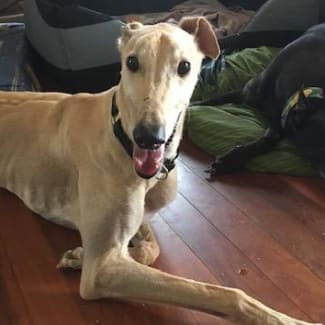 Larry is a four year old hound currently in Foster care with his foster sister and brother in Toowoomba. Larry is the social butterfly of the group and becomes friends with everyone he meets. He is always happy, friendly and up for a play or walk. He is very easy going and is always wagging his tail. 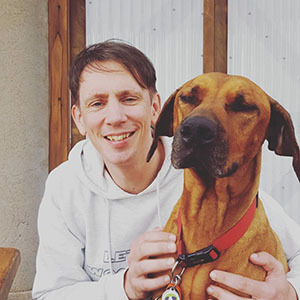 His favourite time of the day is treat time and dinner time and he often licks his empty dinner bowl throughout the day – just to check that he hasn’t missed a single ounce of his food. Larry is quite a large greyhound and would be best suited to a home without small children. He is big and a bit goofy and often forgets his size! He would also be happiest in a home with another medium to large breed dog that he can become best friends with. Hi, I am Skye! I have some other names too that my foster mum calls me, including Scooter and Cheeky Girl! 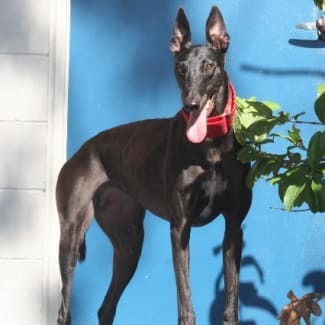 I am a very very playful greyhound and I am particularly active for my age of 4 years old. I definitely need daily walks and daily play time where I can sniff about the yard and burn off some energy. I am pretty good at keeping myself occupied and I am always the instigator of fun and games with my foster siblings. I love to play tug-o-war and love leaping into the air to catch toys - showing off! While I may be playful, I am also very cuddly and love to snuggle with my humans on the couch or on the bed during cold mornings. I reckon I would be best suited to an active family, who have a decent sized yard and would love to have another doggo to spend time playing with. I still have to learn some basic manners, especially with food and treats, but I am getting better! Will you give me a chance? Meet Mick! He’s a thinker and very smart, so smart in fact, that he can open sliding doors!! Mick also loves the car, cuddles, eats well, and sleeps well (he snores!). Mick has learned to do stairs and because he is smart, he seems to pick things up easily. Mick is sometimes reactive to small dogs while out on walks, however this is improving the longer he is in foster care. For this reason, its recommended Mick is not rehomed with smaller dogs, and that he has an experienced dog owner. At this stage, Mick may be ok as an only dog, but would prefer his people are home a bit. Mick may suit an older household that will take him for short walks, however he does seem fine with kids as well. My friends call me Monty! Hi I’m Montana but my friends call me “Monty”. I love to go for a morning run in the park with my foster family, then a nice long snooze on a soft and comfy bed. Other dogs can be fun but I’m also happy chilling on my own if I can have some human company. I’m quiet, gentle and a little reserved, but I LOVE my cuddles and pats and there’s nothing nicer than a good ear massage! I’m not too keen on fireworks or stormy weather but a quiet, dark room will get me through. I’d be happy in a home with older children, with or without another doggie friend. Meet Scout! Scout is described by her foster carer as entertaining and is quite the character! Scout loves a good chat in the morning. Scout is an affectionate dog, likes to be by her foster carer’s side, but isn’t clingy. Scout is a well-mannered dog who will wait for you to walk through doors first and is great on lead. 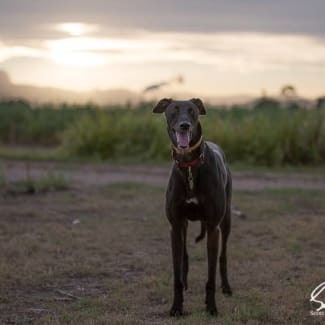 Scout has learnt to navigate steps and has proven herself as quite the intelligent hound as she has settled into pet life very easily. At the moment her foster carer is teaching her how to jump in and out of the car as she has previously had someone do this for her. 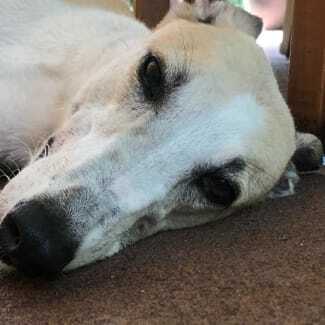 Scout is currently in foster with another greyhound and other large dogs, and can be dominant occasionally, particularly with smaller dogs, so it will be best she is rehomed with a larger dog that will complement her personality.